Are you thinking of starting a business because it’s something you’ve always wanted to do? Or do you feel that starting a business is the best, or only, option available to you? If this is your first business you’re probably not a natural entrepreneur and you may be finding the whole idea a bit daunting. You’re in the right place. 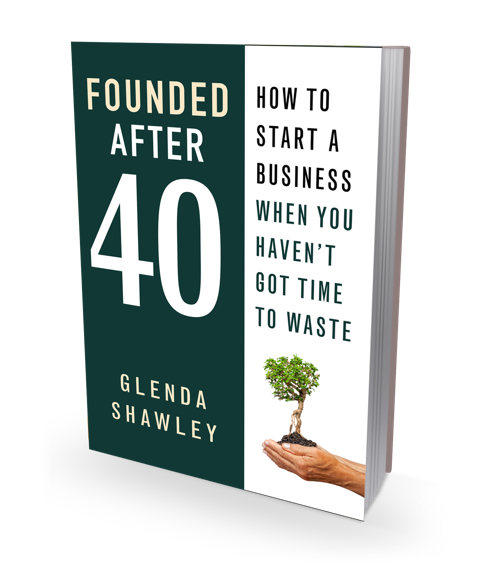 My new book, Founded after 40: how to start a business when you haven’t got time to waste, will lead you through the steps you need to take to build a thriving business. If you work through the activities in the accompanying downloadable workbook you’ll have a business plan that will guide you through your first year. Founded after 40 is designed to be practical and inspirational. The step by step guide is supplemented by the experience of small business owners, people like you rather than high profile gurus. The contributors share their experiences, tips and the lessons they’ve learned in the hope and belief that it will help you to avoid some of their mistakes. Chapter 1: What’s your ‘why’? A ‘why’ that motivates you and connects with your ideal customer will help you to develop a business that’s right for you. This chapter also asks you to consider your vision of success. Chapter 2: Choosing a business model that is right for you What are your options for starting a business and which will be right for you at this stage in your life? Chapter 5: Legal considerations It’s important to operate within the law. This chapter discusses the key areas where the law may impact on your business and what you need to investigate further. Chapter 7: Your route to market No business can sell to everyone. This chapter will help you to identify your ideal customer and the market research you will need to do to establish whether there is sufficient demand for your business. Chapter 8: Developing your brand A brand is much more than a logo, this chapter will help you to work out what your brand is all about and then how this should be reflected in your business identity and so much more. Chapter 9: Making a profit This chapter considers all things financial including pricing, raising finance, breaking even, cash flow management and taxation. Chapter 10: Putting your customer at the heart of your business How do you ensure that your business will meet the needs of your ideal customer? This chapter encourages you to map your customer’s journey from not knowing about you to becoming your biggest fan. Chapter 11: Promoting your business How will you win new customers and get existing customers to spend more? This chapter looks at marketing both online and offline. Chapter 12: Getting help This chapter considers your options for getting help when you need it whether that is permanent employees of ad hoc help for a specific project. Chapter 13: Managing the business What systems and processes will you need to make sure that your business runs smoothly and you meet all your deadlines? Chapter 14: Launching the business How will people know that you are trading? Will you go for a big launch or a soft one? This chapter considers your options. Chapter 15: What next? Business isn’t static and it doesn’t always go according to plan so how do you keep the momentum going? The workbook has been designed to lead you through the exercises in the book plus a few extras so that it becomes your business plan as you start and run your business. It contains a variety of templates for managing your finances, marketing, recruitment and more. Once you’ve purchased your book you can download your workbook under the Readers’ tab here. If you would like a print version there’s information about ordering it in the same place. Glenda Shawley started her career in management in Marks and Spencer where she spent 10 years in store management before moving into Head Office where she worked in Customer Liaison and Management Recruitment before becoming the company’s Youth Training Manager. In 1991, shortly after the birth of her first child Glenda was offered a redundancy package, it was an opportunity she couldn’t refuse. The opportunity to start her own business. Initially Glenda drew heavily on her retail background and training skills but an inspired decision by Waltham Forest Council led to Glenda being awarded part of a contract to support retailers and market traders on Walthamstow High St. The other part of the contract was awarded to marketing expert Ivana Cooke, the two were told they would get on, they were never sure whether that was an instruction or a belief. 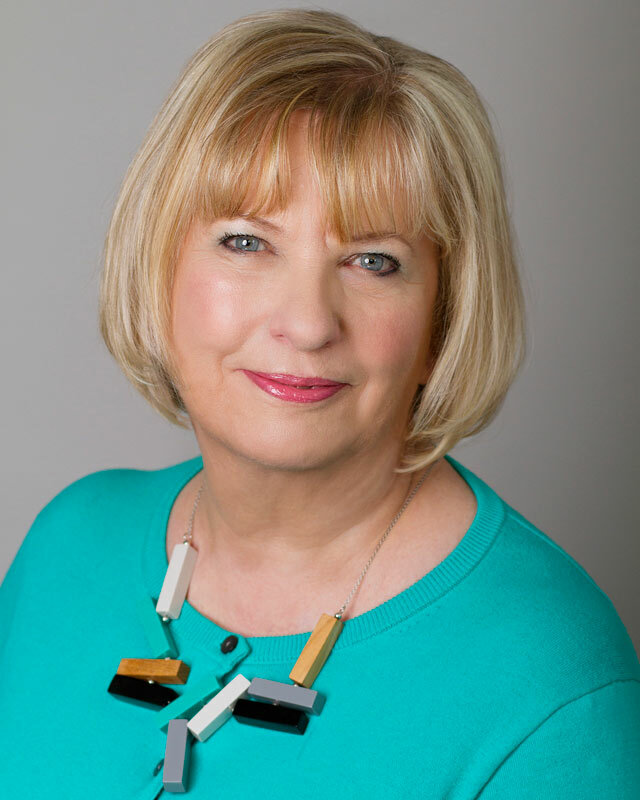 They did get on and Glenda soon developed the love of marketing and small business training which has been at the core of her business ever since.